Tap: Add (2) to your mana pool. Sisay's Ring out, and Jhoira's Timebug in its place. Seems like being able to remove that last time counter off of something, when ever you want, could be useful. I love this deck!!! You are such a jerk, in a beautiful way. Two thumbs, waaay up! I’m not a big fan of Diabolic Tutor, in this deck. 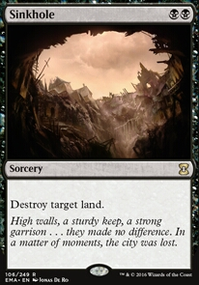 It seems like the theme is not just land destruction, but also doing something after the board control = not enough creatures to waste. Having said that, maybe swap it for something like a Deep-Sea Kraken. It is a big force, one you control the board. Hey there I saw your post on Reddit. 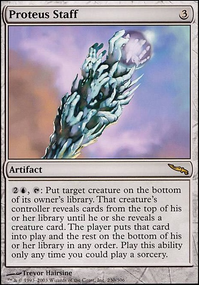 Ive been playing a RW Angel Reanimator for a few years so I have a few suggestions for you. First up youll want to get more 2 and 3 mana producing mana rocks. Hedron Archive is great. Thran Dynamo is one of the best rocks out there, though a bit pricey. Gilded lotus is a maybe since its very slow. Burnished Hart and Solemn Simulacrum are a must since they can be reanimated since that can be reanimated and so some really silly things with Emeria Shepherd. Also nothing wrong with Sisay's Ring and Burnished Hart since that can be reanimated. Altar of Dementia prevents your creatures from getting exiled, and performs double duty of filling up your graveyard more. I was really excited when I found this one, it was a more recent addition to my deck and has performed great. I would definintely run some combination of Living Death, Rise of the Dark Realms or Patriarch's Bidding whichever your budget will allow. If no budget, just run all of them. Miraculous Recovery is also amazing. instant speed reanimation is really powerful. especially when your targets are reya or sunblast. Memory Jar has amazing syngergy with emeria shepherd, gives card draw and puts things into the GY. Not entirely necessary in black, but it works great for the RW Deck, it is pricey though. For me the deck performs best when I lay down a board wipe before I start committing a lot of angels. I like Hour of Revelation and Austere Command a lot, but the cheaper mana ones like Toxic Deluge and Day of Judgment are also good. I try to run about 5 board wipes to clear out early game creatures. Moonlight Bargain also has great potential for draw and putting things into the GY. Cards I would cut: Luminarch Ascension, Moonsilver Spear, Entreat the angels. They are cool and fun cards, but they are tough to use since they all require a lot of mana. Lightkeeper of Emeria and Angelic Field Marshal don't get me very excited, there are many angels to fill those slots in with so ill let you pick those. Anyway hope these suggestions help. You can check out my decklist if you like, probably will give you a few additional suggestions. My commander deck right now is CVT Teferi, and it’s pretty darn close to tier 1, so I have some suggestions. Im assuming your taking suggestions since you have it tagged as needing help. A: Forbid is a good counterpell, but bad in this deck. You don’t want to empty your hand that much to get a non-free counterspell back to your hand. You definitely want a full hand. B: Jace, Architect of Thought doesn’t do anything in your deck unless he ults, and he’s probably not going to in a competitive meta. C: Everflowing Chalice is a decent ramp card, but it’s definitely not the best one, and the fact that it only turns on the CV combo of you play it T4 means it’s not super viable. D: Paradox Engine. Amazing card, and I considered putting it in my deck, but CVT can win pretty easily without it, and engine only adds a small amount of synergy and combo to what is played in the deck to the point that I would rather play another stax piece. E: Sisay's Ring/Worn Powerstone. There are better ramp cards. F: Unwinding Clock doesn’t do a whole lot in the deck and doesn’t turn on the combo. I: The creature teferi. Although he’s great against other counter decks, since CVT plays free counters and usually uses them to protect the combo, and creature teferi’s first ability is useless in the deck, and there aren’t a lot of competitive counter decks other than CVT out there, he’s not super good and it would be better to just play Dispel. I’m not sure what your budget is so this might seem very overpriced. A: Force of Will and Mana Drain do serious work in the deck, with the first protecting the combo and the second possibly ramping out a T3-T4 win. C: Static Orb/Cursed Totem are absolutely necessary stax pieces in the deck. The second one especially helps against your worst marchups, like yisan or sisay. D: Blue Sun's Zenith is my weapon of choice for teferi, allowing you to kill multiple people in a turn instead of Stroke of Geniusing one person. 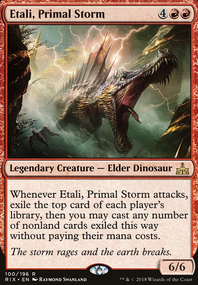 E: Grim Monolith/Mana Vault/Mana Crypt are all good colorless ramp that help accelerate the win more than ramp like thran dynamo. F: Gilded Lotus is especially good as ramp because it gives you colored mana for the Isochron Scepter/Dramatic Reversal combo, allowing you to play teferi and dig. H: Power Artifact goes infinite with basalt monolith or grim monolith. I: Extraplanar Lens acts as a static high tide, ramping You whenever you play teferi. J: Rewind is possibly a good counter choice as it allows you to leave only four mana up and be able to respond twice. Oops, I have Worn Powerstone, I meant Basalt Monolith. I am tired, lol. 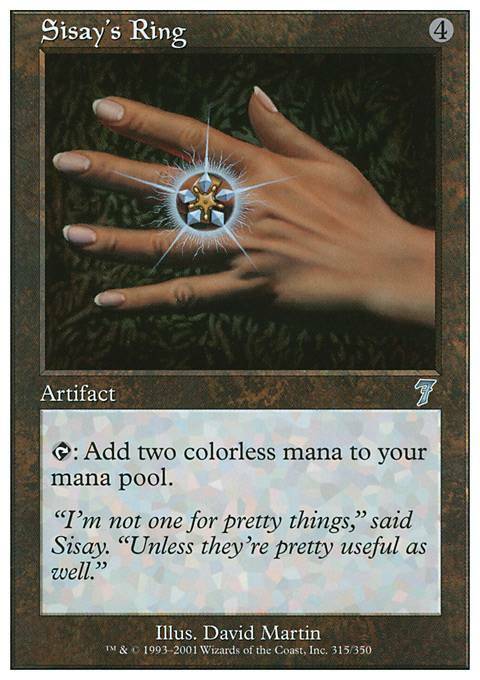 Sisay's Ring or Ur-Golem's Eye could work also. I wish there was a way to edit comments, or there is, and I haven't figured it out yet, I'm new to the site.